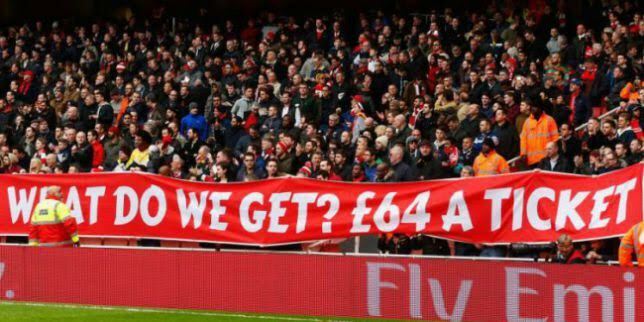 Not surprising to hear if you are an Arsenal fan, as you already know how much it costs to follow your team each week, but it may come as a bit of an eye opener to supporters of other teams when they learn just how much Arsenal is able to charge for tickets. The most expensive season ticket at the Emirates sells for £2013, while the least expensive season ticket in the Premier League can be found at the Britannia Stadium where Stoke City charge their fans a more reasonable £294 to attend their home games. In fact if you head over to Europe, only one club charges more than the Gunners, with PSG asking their supporters to fork out an eye-watering £2,113 for a seat at the Parc des Princes. Even if you cannot afford a season ticket at the Emirates, just to attend the odd match could set you back £97 while game-day tickets at Leicester City can be had for £22. Arsenal fans should be up in arms over the amount they are paying to watch their team, especially given the fact that their stadium is paid off and they have a manager in Arsene Wenger who manages the clubs money as if it were his own. No wonder owner Stan Kroenke doesn’t interfere with what’s going on in north London as he is just happy to keep riding the gravy train as the Gunner fans add to the Billions he already has.